Trailer and Truck Lettering. The Importance of Proper Planning. Talk about billboards! Visualize this truck coming down a local street or highway and the impact it makes. It’s important to take the time to design a truck or other vehicle carefully. In this case, it is clear that the message is concise. And 30 inch letters were required for truck lettering to reach the goal of the client. This is a far cry from designing a small van with full color graphics to depict a message or brand. Sometimes much less expensive vehicle magnets can be a great solution. Graphic Impact will ask you questions about your goals and objectives. How important is your website to your business? Is there a value statement or a company tag line? Where is your vehicle parked during off hours? We’re ready to offer advice, but in the end it will be your decision. When using the correct vinyl, it will always outlast a vinyl wrap. In an accident? It will always be easier and less costly to replace one or two letters rather than replacing an entire wrap. Assuming your sign company is still in business the color match and type style will be an easy match. 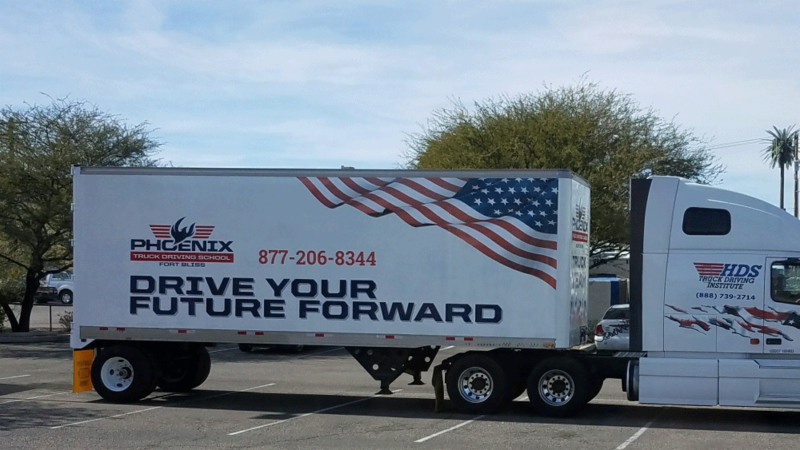 Vehicle wraps are the best way to achieve results when there are full color graphics and photo quality product pictures and renderings involved. We have some clients who have chosen vehicle wraps simply to cover old graphics, paint imperfections or dents in their vehicles. Some feel it makes economic sense over repainting an entire vehicle. Short comings include scratches, dents, and the expense of removing wraps when selling a vehicle. So then why not take the best of both worlds. Use vinyl letters and graphics in areas that you may be changing in the near future and in areas where you’re just not sure. And use wraps for full color areas such as photos, product renderings, and logos. We suggest taking the time to plan. After all it is small businesses best fiend when it comes to advertising. Here’s a Checklist to Consider When You’re Ready to Proceed. We want to help you make the right decision. . . .
What are the centers of interest of your design? Website telephone numbers, addresses. Perfect for vinyl letters. Especially if you may be moving soon, adding locations, or adding a new telephone number. Will a photo (a large one) or a full color logo be the center of attention. Or just a great design. You should be leaning towards a vehicle wrap. Are you a University of Arizona fanatic, or have a favorite non-profit that you love to support. Put their logos on your vehicle. We think you’ll be amazed at the attention they draw. Change your mind? If their vinyl letters,it’s a quick and easy job to strip of change.